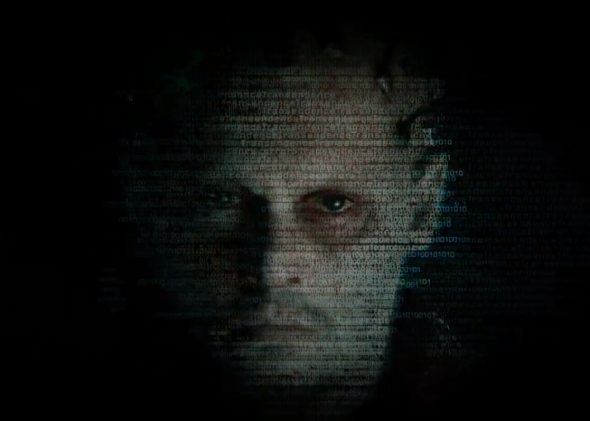 Transcendence movie teaser trailer: Johnny Depp stars in singularity, AI flick. Johnny Depp takes a break from playing a man made of alcohol to play a man made of code. This may be the singularity’s mainstream moment. Popularized by sci-fi author Vernor Vinge, the term refers to a theoretical point at which machines eclipse humans in intelligence, and beyond which pretty much everything changes. Kurzweil is its preeminent latter-day apostle, and he was recently hired as an engineer by Google to work on hastening its arrival by teaching computers to understand English. Now we’ve got Captain Jack Sparrow explaining it in a voiceover. Yet tech geeks’ enthusiasm for the flick might be tempered by the ample early evidence that its take on artificial intelligence will be rather loosely tethered to reality. (Then again, some of Kurzweil’s critics would say the same about him.) “The combined intellect of the neuroscientists, engineers, mathematicians pales in comparison to even the most basic A.I.,” Depp’s character explains in the teaser trailer. Um, Dr. Caster? I hate to tell you this, but today’s most advanced A.I. pales in comparison to the intellect of even the most basic humans, except in constrained settings like chess or Jeopardy!. The most sentient machines we’ve seen so far hit the limit of their intelligence when they learned to make out images of cats on YouTube. I’ll take “annihilation” for $200, Morgan! Sounds fun, though, right? Maybe?